I can't believe I did it, but I did. I really actually truly just did this. 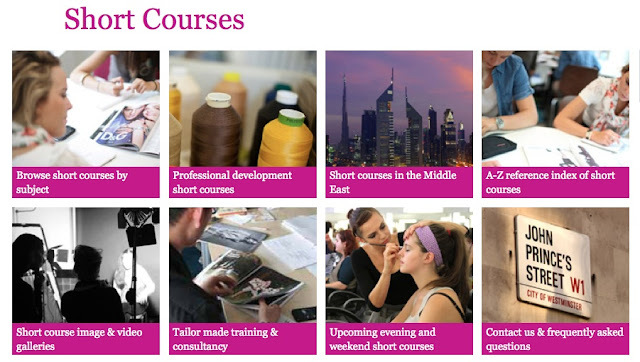 Today I registered for four short courses at the London College of Fashion. I am in shock, and beside myself with excitement. I am going to be there for two months, doing an overview of fashion design and business, and also focusing on knitwear and leatherworking. Obviously not an in-depth formal training, but a considerable dip into new waters. Normally I agonize over decisions for ages, but I shocked myself by agonizing over this decision for only 3 days. Who am I? Why am I so ready to start this new adventure now? I suppose because the reality is I've been inching my way towards this shift in focus for years now, and my time away from my daily routine this summer has been like going up a mountain. The modern day vision quest. As time gets closer (I leave in 2 weeks!) I'll tell you more about what I'm going to be doing, and of course keep you posted while I'm there. For now I'm packing my bags (again) because tomorrow I head back to Madrid. I'm so excited for you! Nothing wrong with further exploring a new interest. We are lucky to have the privilege to do so (I did it last summer and now I have a new career!). That sounds amazing - congratulations! Knitwear and leather working sound like an absolute dream to dive into. Good for you in taking on this new adventure (I've actually just begun my own here in Madrid! )...can't wait to see more. Good luck! You'll have such an amazing time!